Iridium-Rhodium Thermocouples - Furuya Metal Americas Inc. 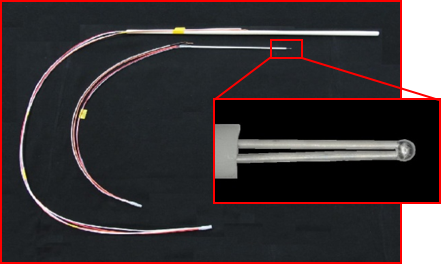 Introducing Our Made-To-Print Iridium Rhodium Thermocouple Kit, with accurate long temperature measurement above 2000°C. It is possible to measure temperatures up to 2100°C with high accuracy. Our Iridium Rhodium Thermocouple Kit is suitable for controlling high temperatures needed for the fabrication of semi-conductors, LEDs and automotive materials. Our Kit is completely cleanroom assembled and vacuum packed in a state of the art engineered box. We refine, repair, refurbish and recycle all of our products. We stand by our products and your company every step of the way.